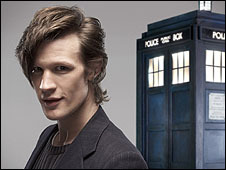 Matt Smith is the new Doctor Who. He will debut in 2010. I am so glad we have Canadian satellite here in Mexico. I love BBC Canada.